Gujarat Tourism Opportunity Limited has been Published Recruitment Notification for below mentioned Post 2017. More details Like Age Limit, Educational Qualification, Selection Process and How to Apply are given below. Job applicants, who are applying for above said posts must have completed Diploma / Engineering Degree from a recognized Board / University / Institute. 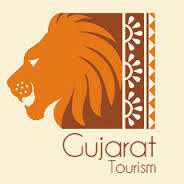 The selection of contestants who are participating under Gujarat Tourism Opportunity Limited Recruitment 2017 shall be through the Personal Interview. Eligible contestants who fulfill all term and conditions of eligibility must read all the instructions and information given on the notification cautiously. The last date for receiving application form through email is 26-07-2017.